Over 20 fantastic pictures from the Disney Fairies film to decorate with cool multicolour crayons. Make those fairies’ wings flutter! Based on Tink’s amazing movie story, this gorgeous book is packed with stunning scenes which you can colour any way you please. 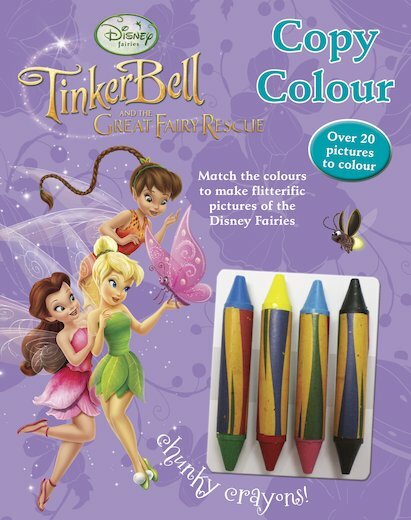 So get busy with the chunky crayons and help bring the fairies to life!